The Book of Enoch is a Jewish work, ascribed to Enoch, the great-grandfather of Noah. The texts were written in the years between 300 and 100 BC. The Book of Enoch is not accepted as part of the Canon of Scripture as used by Jews, apart from the Beta Israel canon; nor by any Christian group, apart from the Ethiopian Orthodox Church and Eritrean Orthodox Church canon. other by murder; for their days shall not be long. 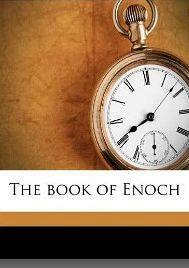 The Book of Enoch is an ancient Jewish work, ascribed to Enoch, the great-grandfather of Noah. Thanks Shammah, please share this site and tell your friends about it, they might also benefit. Do you know where I can get a copy of Enoch in original Aramaic and Hebrew. Like Young’s Literal Translation? Thank you for all your help. But how can I get the complete book of Enoch in English soft copy format, can u send me a link. Thank you!! Please help me to get a full book of Enoch in english. I have been trying to download a copy of the Book of Enoch from a website on Google Chrome and it wanted me to sign a monthly commitment . I did not want to do this and have uninstalled the app. Please ensure that my credit card is not debited. There is no way your credit card will be debited here on http://www.holybooks.com. All books are free forever.